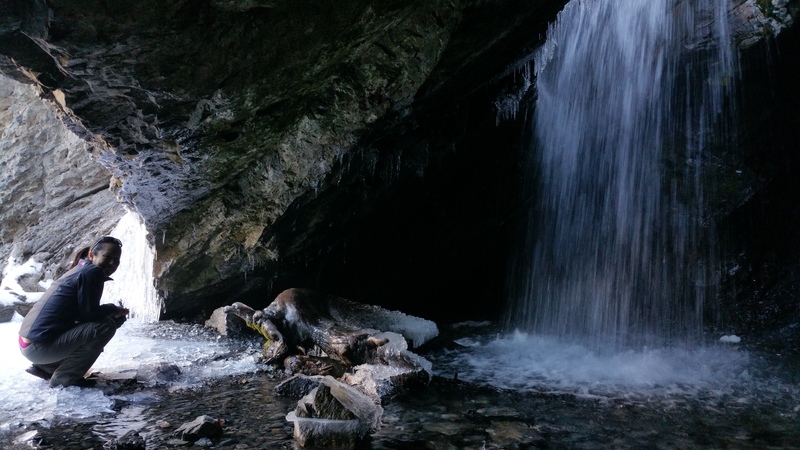 If you happen to be in or near Salt Lake City with a couple hours to kill, check out Donut Falls, perhaps one of the most popular hikes in the SLC area. We were staying in Draper with friends, and they suggested making the quick hike (or walk) at Donut Falls. Apparently the week before, the climate resembled more like late summer/early fall. 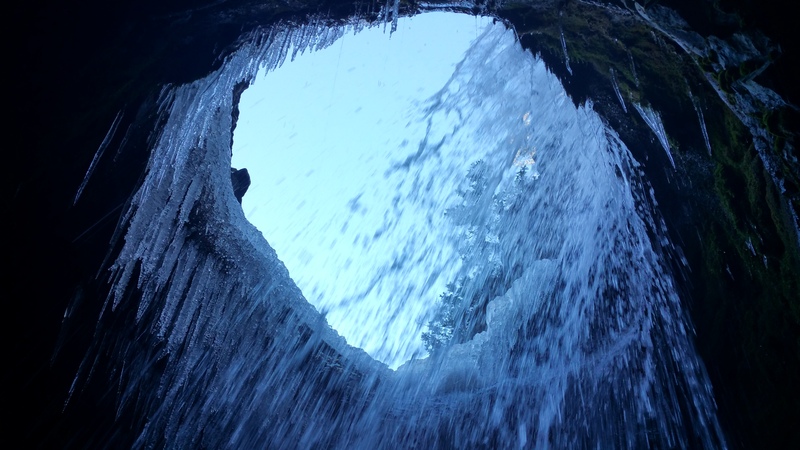 When we visited Donut Falls, it was clearly the start of winter. The creek was mostly frozen with snow-covered rocks, and the hike up to Donut Falls was icy and slippery. But was it worth it? YES! 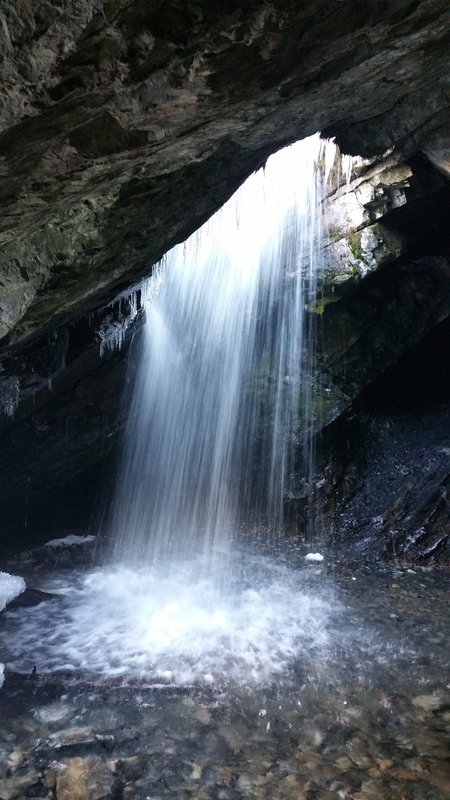 Because a portion of the waterfall had frozen over, granting us icicles along the rim of the donut-shaped falls.